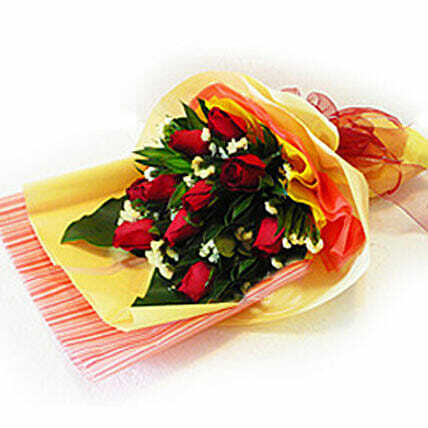 Make your loved ones feel all the more special with the beautiful bouquet of red roses which are a symbol of love, beauty, warmth and passion. It can be an extraordinary gift choice for the special occasions like birthday, marriage anniversary or the events like Valentine's Day. Place the instant online order for your dear ones now.